Moreover, using a CMS makes your website look great if you know what to modify. Choosing the appropriate CMS is a huge step in developing your website because it can alter the development of it later on. There is a large variety of CMS where you can choose from, but the battle is mostly fought between Joomla vs WordPress. Each CMS comes with both benefits and drawbacks, and the best choice you can make is to select the one that fits your needs and requirements the best, no matter what people say about it. Both Joomla and WordPress are popular among users, so it will be a tough choice to make. They are easy-to-use, they offer plenty of expanding opportunities, there are active communities waiting for your questions – so, the question is, how can you choose between one or another? The WordPress vs Joomla battle seems to be a never-ending one, but this article should answer many of your questions about them. Keep reading to find out what is Joomla, what is WordPress, and what features make each of them unique. Learn below more about this topic in this article created by our team at wpDataTables. Which one offers more themes and add-ons? Which one is more SEO-friendly? Which one is more customizable? People who want to use CMS platforms are usually not professionals, meaning they want to build a website without encountering any hassle. This is the first criterion you should seek when making a choice. The Joomla vs WordPress battle starts with how beginner-friendly each platform is. Both CMSs are quite complex, so users can create and manage all sorts of websites using them. Even though, Joomla is sometimes considered more complex than WordPress, which is commonly used with simpler websites instead. Of course, Joomla is not necessarily better than WordPress. It just depends on the preferences of the person who is using the CMS. Joomla offers websites the chance to evolve, especially because of its fantastic documentation. People with no experience in web development whatsoever might encounter some issues with Joomla, but this is not a valid argument for all users. Most people consider the two CMSs equal, but this is a subjective matter that varies from user to user. Because Joomla tends to be more complex, the beginner-friendly round of Joomla vs WordPress goes to the latter CMS. In terms of security, it is difficult to state which CMS is better because both of them are exposed to vulnerabilities. WordPress is considered more vulnerable than Joomla due to the fact that users can install thousands of plugins or themes that are available for this CMS, which may be harmful to the website. Plugins are a benefit, but they bring a major drawback to the table – it is impossible to state whether the plugin is safe or not. Not all plugin developers keep in mind safety standards when they create them, putting website owners at risk. Choosing between Joomla or WordPress depends on how careful users are with their downloads. 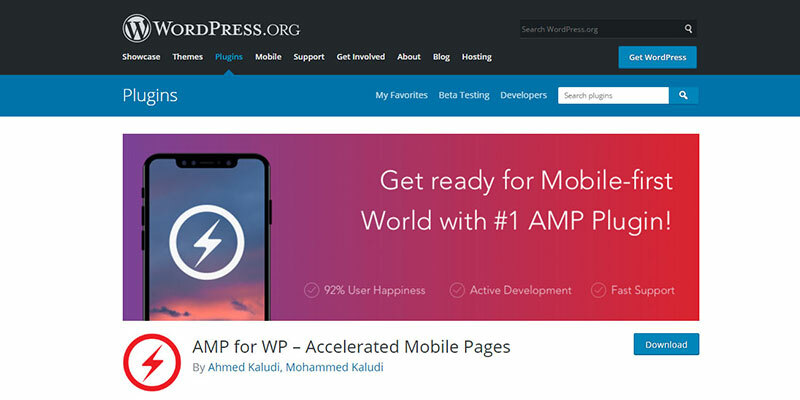 WordPress has a backup functionality included, along with two-factor authentication, which is highly-appreciated today in terms of cybersecurity. The code behind this CMS is pretty secure, and patches are released often and installed via an integrated function that applies to all published websites of a user. Joomla is more rapid when it comes to responding to security threats. This is the reason why Joomla is updated even more often than WordPress. The users can decide whether they want to upgrade to a newer version or not. What’s great about Joomla is that you can use other extensions to increase the security on your site. 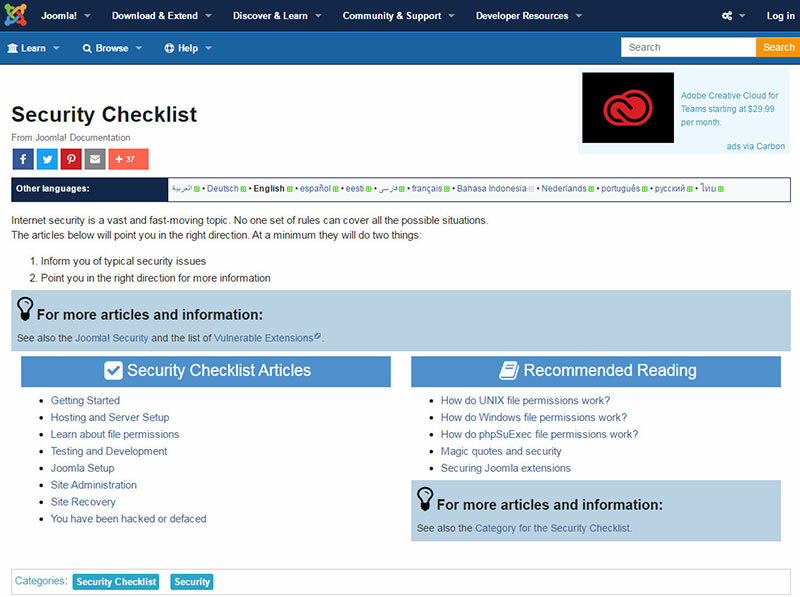 As mentioned before, Joomla offers extensive documentation that also contains a security checklist, that you should definitely read. There is no such thing at most secure CMS when reviewing Joomla versus WordPress, so this round ends with a draw. When using CMSs, users want as many customization opportunities as possible. More than that, users don’t want to use code to personalize their websites. Whether you use WordPress or Joomla, you won’t have to touch code in order to extend your website or make it look the way you want, but there are some differences between the two. Using WordPress as a CMS means that you will have no less than 38.000 plugins to choose from, as well as thousands of themes. Themes come in all types: pre-installed, free, premium, and third-party. WordPress plugins are so diverse that you will find it tricky to choose the ones you really need for your website. Joomla offers both templates and extensions but it tends to be oriented towards eCommerce. There are surely templates that would suit anyone’s preferences, but the array of options is just not as vast as in the case of WordPress. It might take a while to find a suitable template, but it is not impossible, and it is definitely worth a try. This round of WordPress vs Joomla is definitely won by WordPress. Generating traffic is the main purpose of most websites out there, and what method to do that is better than SEO? Probably none. Even though Google doesn’t apply any special algorithms to find out what CMS you are using, there are some factors that will matter tremendously in the end. These factors have to do with how SEO-friendly the CSM is. WordPress is pretty good with SEO considering its out-of-the-box features (customizing your own URLs, for instance), but the best part about it is that you can add plugins that control all aspects of SEO on your website. One example would be Yoast SEO, one of the most popular plugins for optimized content. WordPress also impresses with regard to scalable, responsive design. Themes that reach the directory absolutely need to be adjustable to all screen sizes by default. Many users look for CMSs that support plugins which are friendly to Google Accelerated Mobile Pages. Joomla is not that efficient when it comes to SEO. It is messier, and beginners are very likely to find the implementation way too complicated for their level. Even though, Joomla comes with functionalities such as customizable URLs, editing meta descriptions, title tags,and metadata. Professionals can use Joomla’s SEO without any problems. Besides, Joomla also supports an extension to handle SEO easier. This Joomla vs WordPress round is won by WordPress once again. The customization potential of each CMS can be the one factor that helps users decide which one to select. Because of the very different preferences and requirements of users, determining which platform is the best is pretty complicated. The following comparison will be focused on both the core product and the potential ways to extend it. 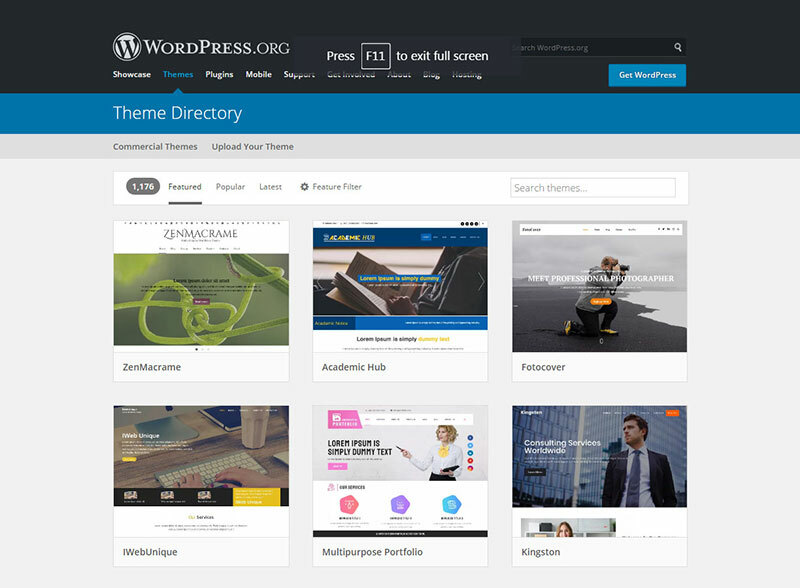 For customization, WordPress has themes and Joomla has templates. As previously mentioned, WordPress themes are more numerous than Joomla templates, but both can be extended using plugins. No matter what type of functionality you search, there is probably a WordPress plugin for it. With Joomla, personalization can be trickier. 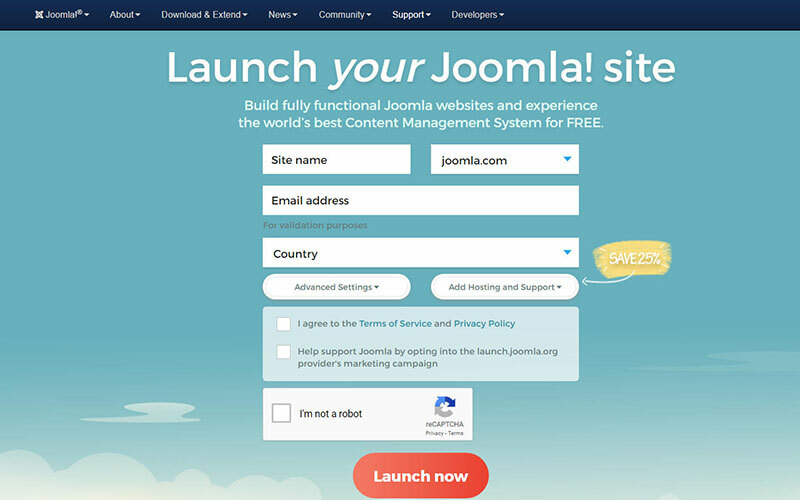 Moreover, you should consider the fact that Joomla has no pre-set library of templates, such as in the case of WordPress, where themes are listed in an official library. With Joomla, users need to find the sources they trust and download their templates from there. Luckily, Joomla comes with an official directory where all plugins, modules and other components are listed. The extensions listed in the directory are not always free. Most of them are paid extensions, which can be inconvenient. With WordPress, most of the themes and plugins listed in the official library are free to use, no extra charge involved. Users can find another thing inappropriate when using Joomla – not all the components or plugins listed in the directory are compatible with every Joomla version. Some of them are compatible with the last version of Joomla only. The same case can be encountered for WordPress plugins that were no longer updated by their creator. Another Joomla vs WordPress round goes to WordPress. Even though you can never say that one CMS is better than the other, the Joomla vs WordPress battle must come to an end. The more appropriate question would be “Which CMS should I select for my own needs and requirements?”. If your website is more specific and you are willing to hire a developer to work for you, Joomla is the appropriate choice. It is great for eCommerce websites where signup is required, as it has community/social features integrated. Paypal vs Stripe in WooCommerce: What’s the difference? What is WordPress hosting and is it worth it?